Stir together vodka, your favorite Bloody Mary mix and hot sauce. 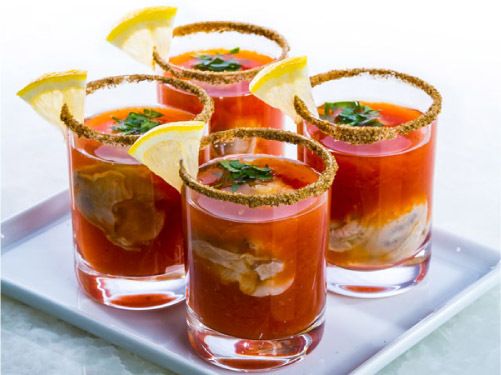 Coat rims of chilled shot glasses with celery salt, then fill each with 1 small oyster, Bloody Mary mixture, horseradish and chopped fresh parsley. Garnish with lemon wedges.